The Strategic Plan was publicly launched on May 5, following months of collaborative meetings, research and evolution. Instead of slowing for the summer, execution begins immediately—with the assembly of an implementation team to keep those goals aligned and on track to make the plan a reality. When UND’s Laurie Betting isn’t digging up growth opportunities for the campus community, you might find the gardener at home, planting veggies or pulling weeds. Either way, she likes getting her hands dirty – and she loves the imagery behind the idiom. In this case, Betting is sowing the seeds of the future of for UND. 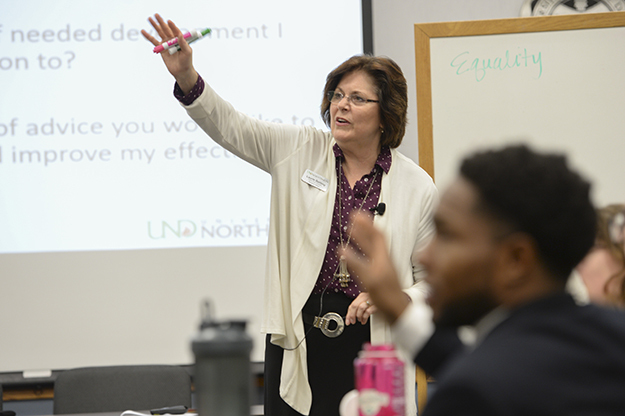 She’s helping lead the team that will make the new One UND Strategic Plan take root. The Strategic Plan was publicly launched on May 5, following months of collaborative meetings, research and evolution. Instead of slowing for the summer, execution begins immediately—with the assembly of an implementation team that will include captains for every Strategic Plan goal, trained project managers to keep those goals aligned and on track and support members who will generate ideas, further refine action steps and ultimately make the plan a reality. Laurie Betting (above) will head up the team that will help the new One UND Strategic Plan take root and grow across campus. Captains for each of the plan’s goals were chosen last month, and in June, each will be joined by one or two project managers, selected from campus based on their backgrounds and expertise. The project managers will devote 25 percent of their time to the Strategic Plan team (with previous responsibilities either reduced or moved elsewhere) and will go through formal training together to ensure they are working in unison and following best practices. Project managers will meet regularly with their goal captains to monitor and assess the progress of the goal, which the captains will report monthly to the President’s Cabinet. The project management team will also meet weekly as a group to ensure harmony when goal action steps and metrics overlap. Angelique Foster, executive assistant to the President, will serve as oversight lead for the project management efforts. 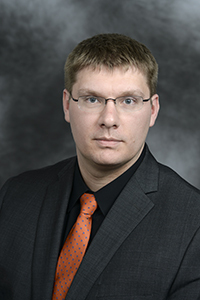 This coordination will be made easier with new project management software that can be used to input milestone data provided by UND’s Office of Institutional Effectiveness (OIE). Betting said she’s excited to see a solid project management initiative come together in this way, adding that it’s something that hasn’t been done before campus wide. Goal captains and college deans will convene Thursday (June 1)—what Betting affectionately refers to as “Draft Day”—to choose implementation team members who will support captains and project managers. Candidates for implementation team will come from campus recommendations and volunteers. Each goal’s team will differ in size and scope, depending on needs. But beyond those roles, the entire Strategic Plan organization will be looking to the campus community to get involved. 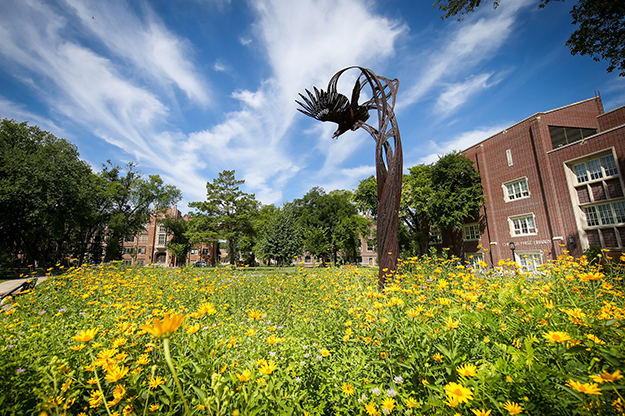 President Kennedy has been working closely with North Dakota University System Chancellor Mark Hagerott to ensure that the One UND Strategic Plan aligns with a system-wide vision for higher education—Envision 2030. At the campus level, Strategic Plan implementation will charge ahead through the summer. The President has asked each college and support unit to consider how they will align with the plan and report those plans by Sept. 1. He has also asked that accountability toward meeting Strategic Plan goals will be worked into position descriptions. 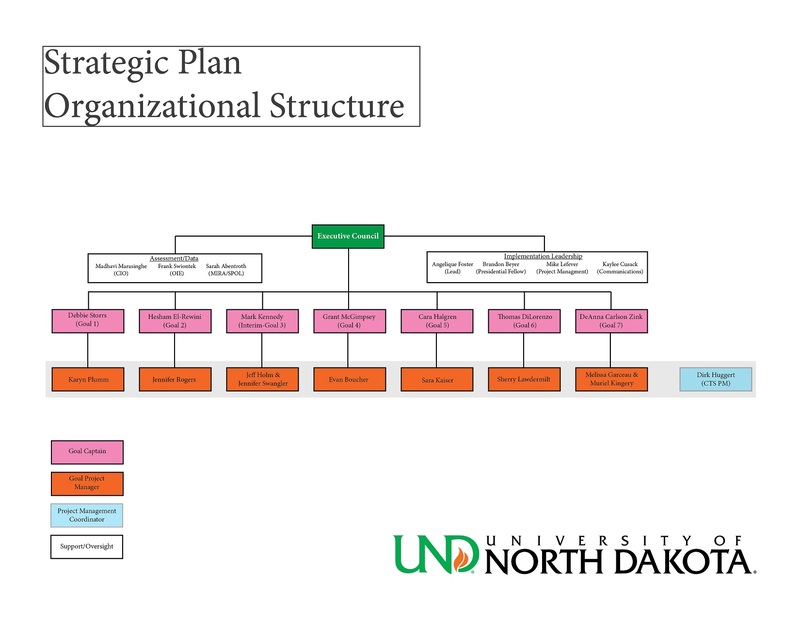 UND Today will continue to communicate Strategic Plan updates, and new information will be posted on the UND website and presented at a campus forum in September. Until then, Betting is looking forward to turning soil with her teammates this summer—and getting some dirt under her fingernails.